People trapped in elevator shafts. When a major earthquake hits, first responders are going to be busy. Very busy. 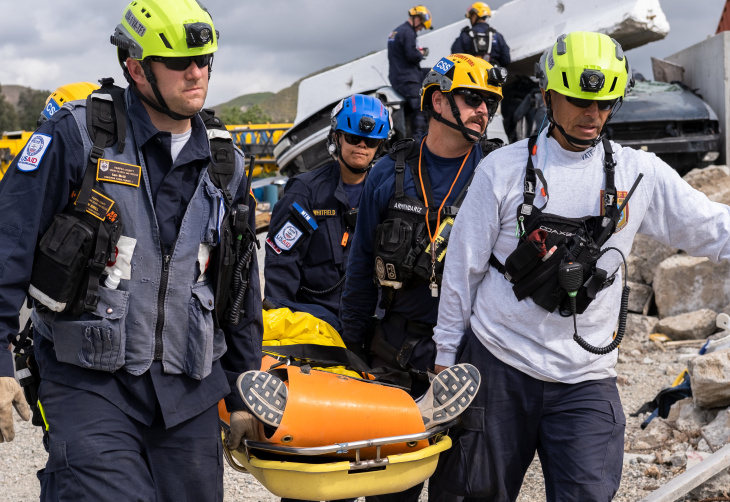 That's why more than 130 Urban Search and Rescue responders from Fairfax, Virginia and L.A. County, are eating, sleeping and acting like a major earthquake has hit. It's part of a massive training exercise at the Los Angeles County Fire Department's Del Valle regional training center just north of Magic Mountain. The 96-hour drill started on Monday and continues through Thursday. It's a simulated scenario, with crushed cars, pancaked buildings, and a busted elevator shaft. Responders are practicing confined space rescues, technical rope rescues and canine search functions. 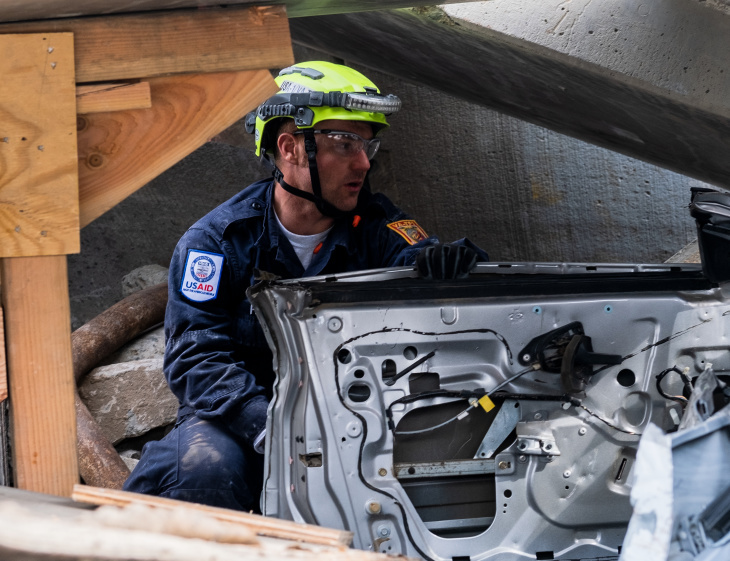 Here's what a "simulated earthquake environment" looks like in action, starting with Urban Search and Rescue workers using a crane to lift a piece of concrete that's crushed two cars. Another responder here works to free victims from a car crushed by concrete. The environment in this drill is meant to model a collapsed parking structure with a trapped victim inside. 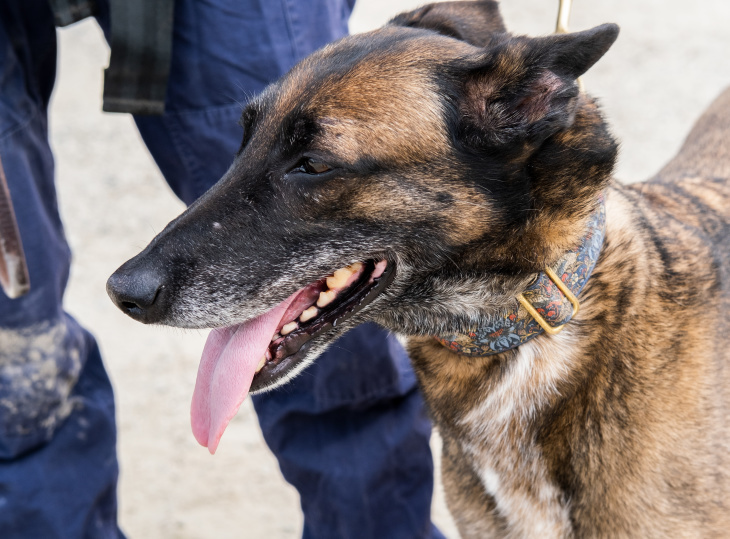 And here is Etta, an expert at finding victims trapped in collapsed buildings. "Even though this is a drill, this is an equal opportunity killer," said Matt Walmsley, L.A. County Firefighter and urban search and rescue worker. "This is a live pile. Anything can shift. Anything can buckle. Anything can crack. Rigging can break. So, you could get killed out here just as easy you can as a real disaster." Walmsley and his colleagues have designed the simulations based on their own earthquake experiences in places like New Zealand and Japan. Steve Bartram — LA County battalion chief — helped in the 2011 Christchurch quake, which killed 185 people and caused widespread damage in New Zealand. "We had a building we worked in Christ Church," Bartram said. "We actually were told that we had people trapped in the stairwell. 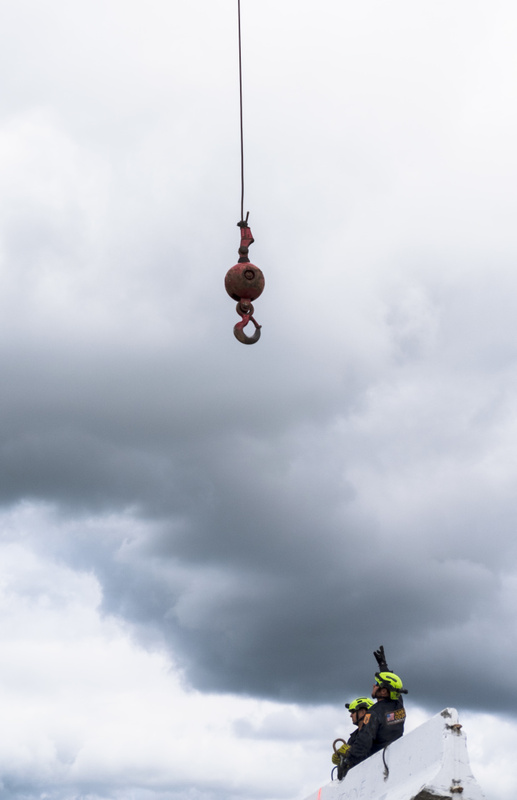 And we started removing concrete, breaching it and pulled six stories of concrete out of a stairwell to get to the bottom." In the drill version of events, responders are using chainsaws and jackhammers to navigate the collapsed buildings. Both the LA and Virginia rescue teams are partially funded by the United States Agency for International Development (USAID). And if a big San Andreas quake hits, they'll be the ones coming to rescue us if we're trapped. Their advice if you find yourself trapped in a structure after an earthquake? "Make noise. Help us to find you. Be an active participant in your own survival," Walmsley said. "Call out to us. Tap. Bang on something. Let us know you're there. We are proactively looking for you."